Home of Copernicus, an incredible Mediaeval town centre, and a lot of gingerbread, the city of Toruń is an often-overlooked marvel. Easily reachable from Gdańsk, Bydgoszcz and Warsaw, visitors to Poland should make it a key part of any trip. Sasha Vasilyuk explains how to make the most of this fascinating uniquely-preserved treasure. If you ever wanted to travel to an earlier time, all you need to do is take a drive to Toruń. Even though this city may not be as internationally well-known as Kraków, Warsaw or Gdańsk, Toruń, whose medieval centre has been designated a UNESCO World Heritage Site, is easily one of Poland’s – and Central Europe’s – most fascinating sights. Established by the Teutonic Knights in 1233, Toruń was tremendously lucky to escape damage during World War II and is therefore extremely well-preserved. As one of Poland’s oldest cities, it lets visitors really imagine the pace of medieval life while strolling among moody Gothic churches and picturesque burgher houses on cobblestone streets. However, it’s not just the architecture you’d come here to check out. Toruń also offers a variety of other memorable experiences to round out your visit here. 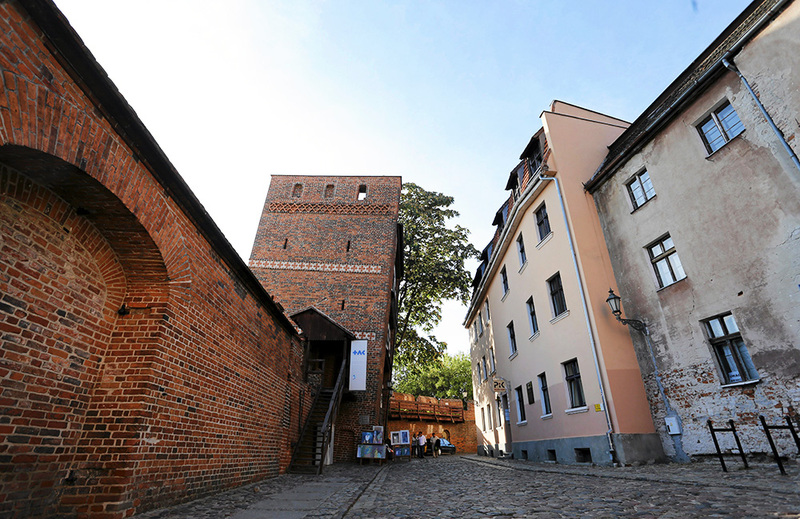 You can learn all about the town’s most famous resident, astronomer Nicolaus Copernicus, in the unique home where he was born, satisfy your sweet tooth at the Museum of Gingerbread, taste local beer inside a defense tower, see modern art, and catch a concert in an unusual cavern-shaped music hall. The best way to start your exploration is by getting a bird’s-eye view of Toruń from the top of the Old Town City Hall. 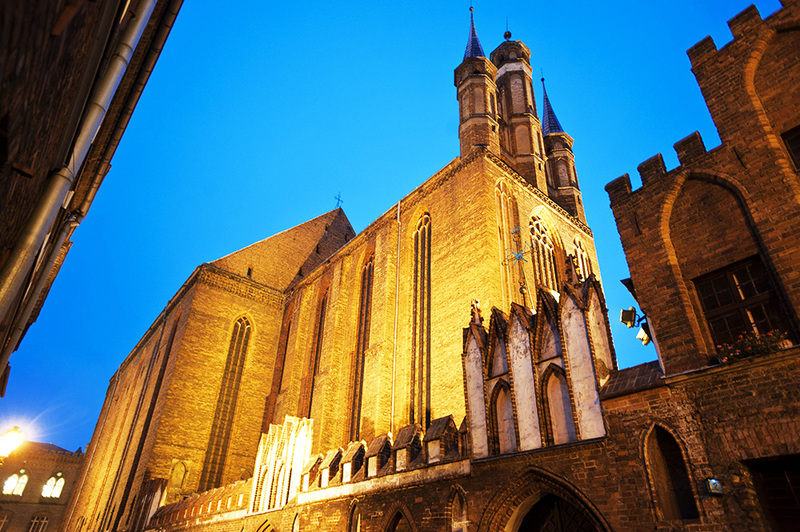 Erected at the end of the 14th century, it is one of the largest brick buildings of this kind in Europe. In fact, brick is the theme of Toruń. From the top of the city hall’s clock tower, you will see an impressive amount of the red stone, which distinguished the town, helping coin the phrase ‘red like Torun’. From here, you can admire the city’s mediaeval layout, filled with Gothic church steeples and colourful burgher houses sitting pretty on the bank of the River Wisła, which flows along the city’s defensive walls. Once you return back down to the ground, immerse yourself in the aura of the Middle Ages by walking over to the Church of the Blessed Virgin Mary (Kościół Mariacki) on Panny Marii Street. If you’ve spent much time travelling in Europe, you might feel that (with a few exceptions) a church is a church is a church. But trust us, this one is different. Built in the late 14th century, St. Mary’s is undoubtedly one of Poland’s most outstanding churches. The looming walls of its narrow, dark interior are decorated with monumental murals of saints that stare down at you from under the impressive soaring roof (when built, this was the tallest church in Central Europe). On both sides of the aisle, you’ll also find intricately carved oak stalls that add to the unique atmosphere of the bygone centuries. If you’re lucky enough to visit St. Mary’s when no other tourists are here, you’ll really feel like you’ve stepped back into mediaeval times. From St. Mary’s, stroll through the town toward the Leaning Tower of Toruń. While not quite Pisa, this 15-metre tower was built at the turn of the 14th century in order to defend the town, but leaned soon after due to the instability of the ground. (Don’t worry, it’s been stable ever since!). The tower stopped performing its defensive function in the 18th century and in fact now houses an atmospheric pub where you can try one of the local brews. After snapping an obligatory photo at the Leaning Tower and getting a good view of the river, walk around the corner to the Museum of Gingerbread. 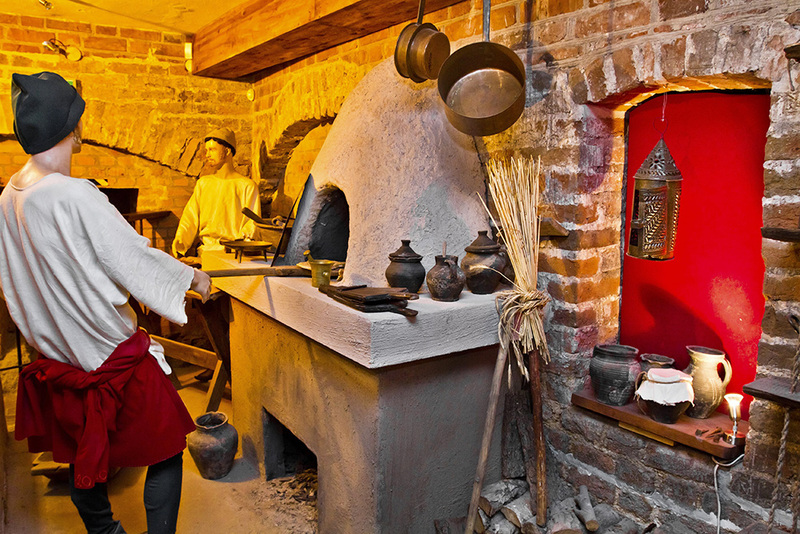 Here, you can try your hand at baking during an interactive show (note that while the museum offers hourly Polish tours, there are only two English tours a day, so we advise reserving your tickets in advance on the Museum of Gingerbread’s website). Good fun for the whole family, the 80-minute show will walk you through the steps of making your own gingerbread, led by the Master of Bakery, the Witch (who is in charge of spicing things up) and other characters. But you’re not just here to bake. 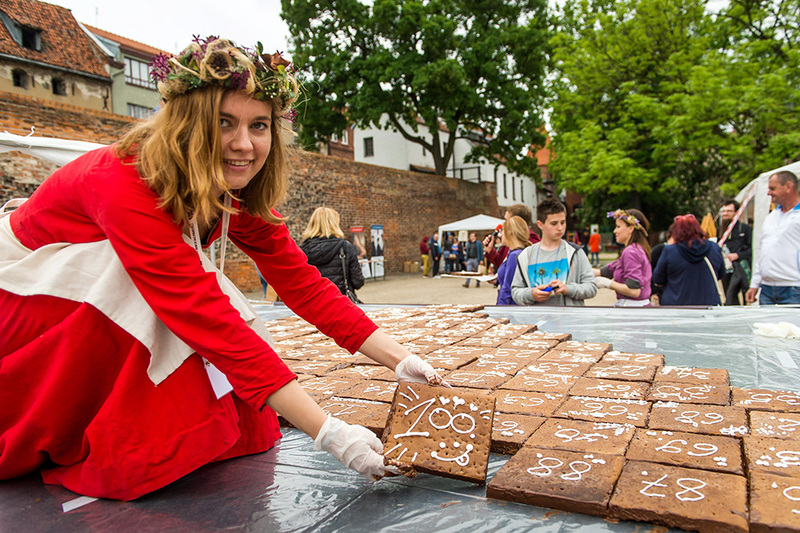 You will also learn about the history of gingerbread from its invention in the 13th century to how this dessert reflected the rather tumultuous history of Toruń and its many rulers. Although you’ll walk away with your very own gingerbread, you can also get more professionally made ones to bring back home in several gingerbread specialty stores throughout the city. Now that you’ve wetted your appetite, stop by Gospoda Pod Modrym Fartuchem (Blue Apron Inn) for a real meal. One of the oldest restaurants in Poland, it has been satisfying hungry customers who walk around Rynek Nowomiejski since 1489. How is that for historic? If instead the Museum of Gingerbread left you craving some more baked goods, grab a table at Pierogarnia Stary Toruń and try a unique plate of fresh-out-of-the-oven baked pierogi. After you’ve had your fill, take a stroll through town to Nicolaus Copernicus House Museum, located in two Gothic tenement houses at 15/17 Kopernika Street, where the famous astronomer was born. Your visit will start with an audio-visual presentation around a model of Toruń from around 1500, which sets the scene for how Copernicus must have experienced his native city. You’ll then learn about the life and work of the famous astronomer who changed our idea of how the solar system works. But unless you’re already a Copernicus connoisseur, you’ll be surprised to discover that he was a true Renaissance man and besides studying our solar system, he also painted, fought in a war, and initiated currency reforms. The museum isn’t just valued for its in-depth portrayal of Copernicus. The two joined burgher houses where the museum is located are also fascinating in their own right. In fact, they are considered to be one of the most beautiful Gothic houses in all of Poland. After your visit to the museum, take a different path back to explore how the old Toruń blends in with the new. 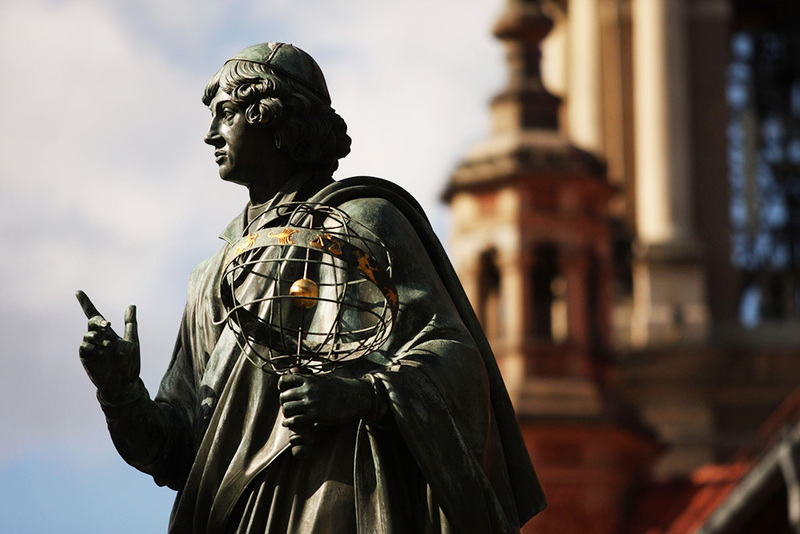 While passing by Copernicus’ statue, you will discover plenty of newly-opened boutique hotels, cafes (like Friends, themed around the popular TV series) and shops. If you decide to stay longer, make sure to pay a visit to one of two exciting modern additions to Toruń’s landscape. In the evening, you can catch a concert at the unusually-shaped Cultural and Congress Centre Jordanki (CKK Jordanki for short) located adjacent to the Old Town. 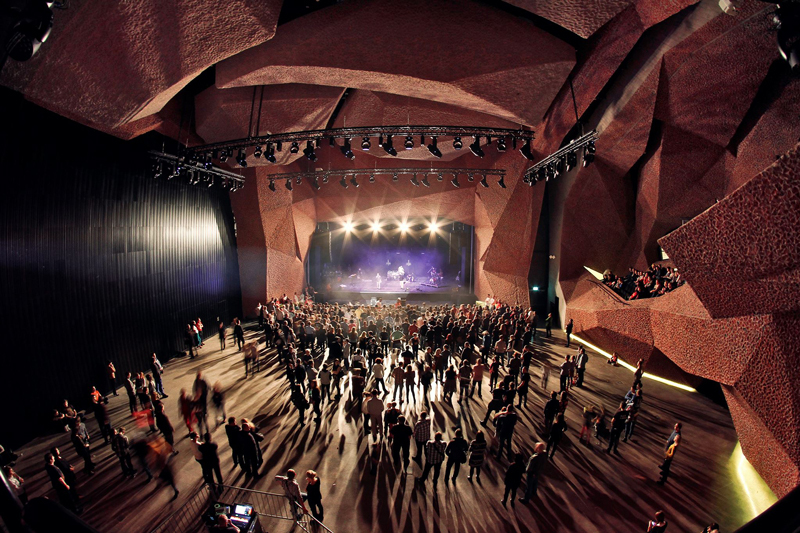 This award-winning music hall opened in 2015 and features a moveable ceiling that changes the acoustics of the hall depending on the music being played. Concerts here range from classical to jazz, rock and even electronic, so you’ll definitely be able to find something to suit your taste. For a more visual treat, pay a visit to the Centre of Contemporary Art Znaki Czasu to see exhibitions of contemporary Polish and international artists (and occasionally, people like the famous film director David Lynch). The centre has a cinema and also hosts festivals throughout the year, including a poster and a music festival, so check out the programme before you go. 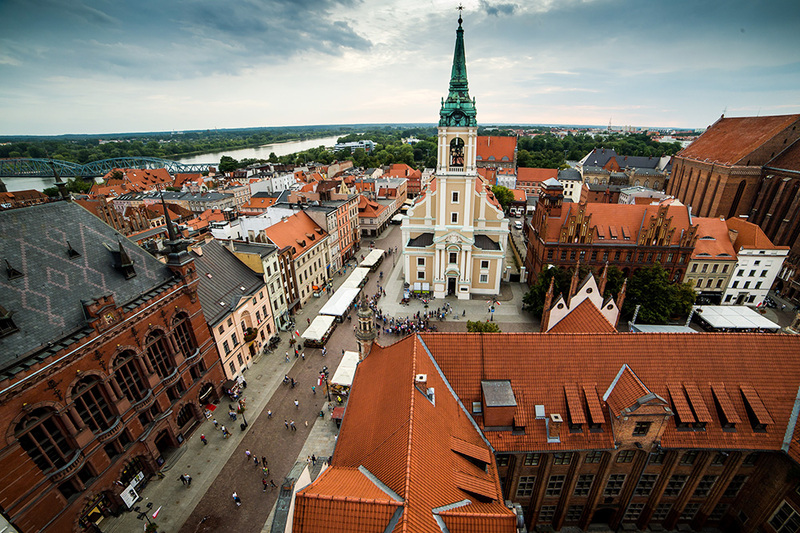 Once you’re ready to leave Torun, you may want to pick something to remember the city by. Go ahead, buy yourself that Copernicus-shaped gingerbread cookie. Just try to resist from eating it on your way home.